The ‘Average Property Stock Analysis’ report looks at all of the on market properties and displays the average price or number of bedrooms for each property type or location. 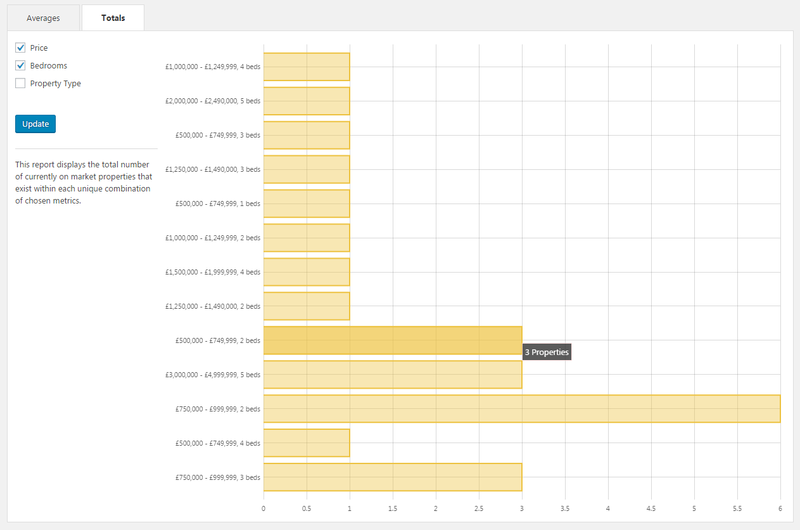 Simply select the metrics that you want to view (property type, location, price or number of bedrooms) and the averages will be presented on the chart. A blue line will also be overlaid onto the chart to show the overall averages. 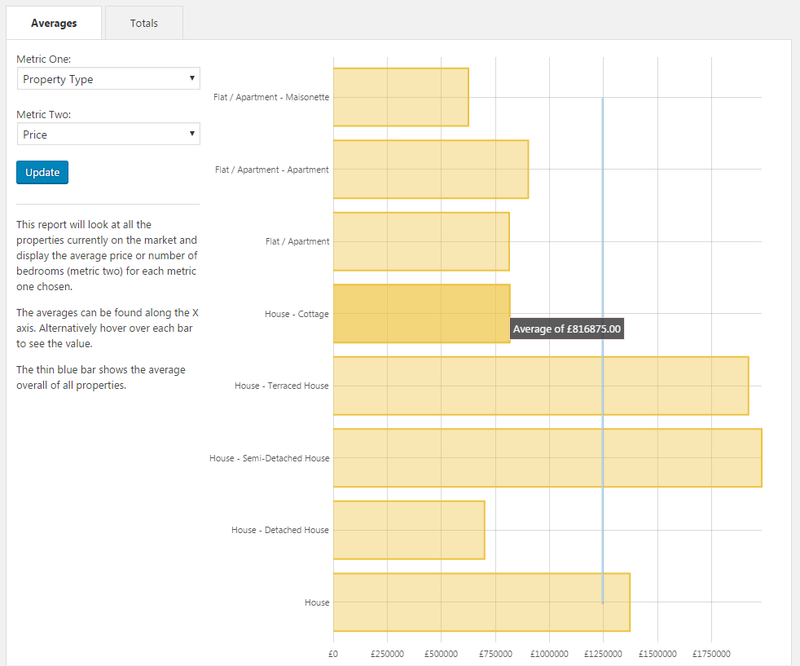 The ‘Totals Property Stock Analysis’ report allows you to select one or more metrics at once and view how many properties you currently have on the market for each unique combination of metrics chosen . 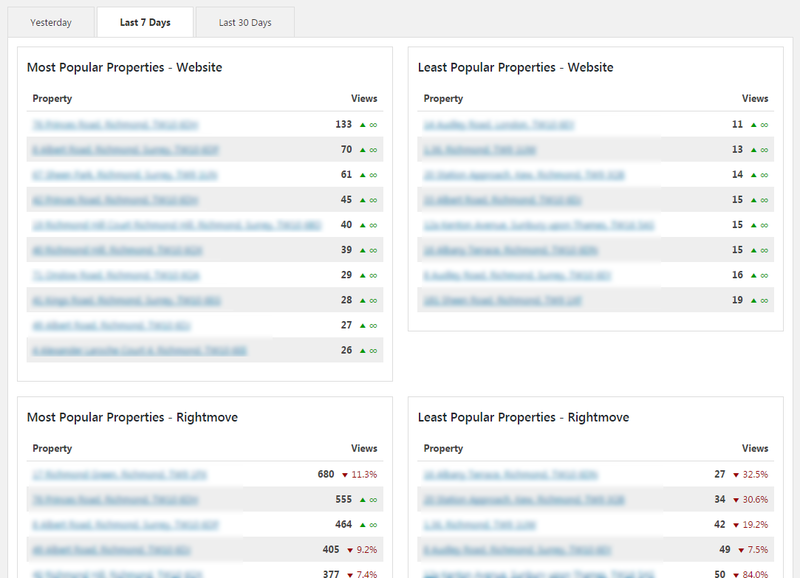 View at a glance your most and least viewed properties on your website from the past day, week or month. You can also see whether the number of views has gone up or down based on the same previous timeframe. If you have the Real-Time Feed add on installed you can import statistics from Rightmove and view them in this report also.